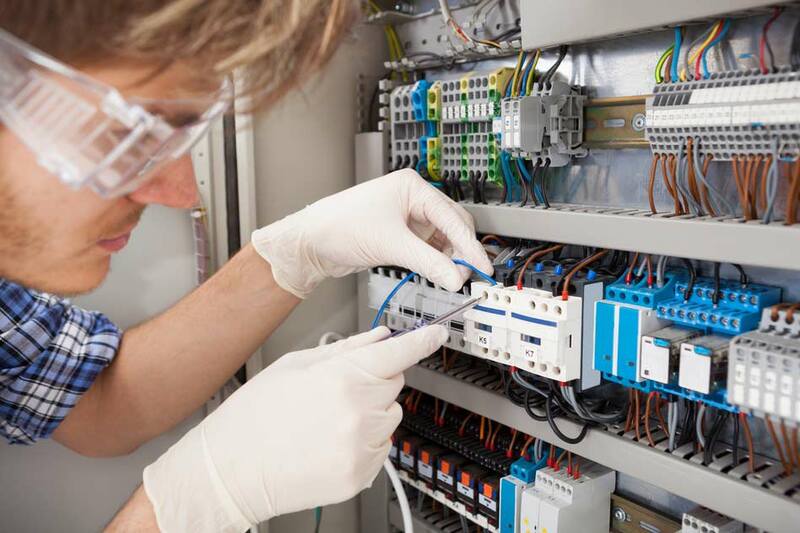 Electrical engineering deals with the design, development and maintenance of electrical systems and their components. You will be responsible for their safety, quality, sustainability and reliability. As well as this, you will be involved in the design and manufacturing of electrical equipment that will be used across a wide range of sectors, such as construction, maintenance and transportation. An undergraduate degree in electrical engineering will give you a foundation of knowledge in the field. You will study modules on computing, electronic circuits, electronics and design. You will develop both your practical skills and theoretical knowledge, making sure that you are ready for employment. Your degree will be delivered in a mixture of modes. These will include lectures and seminars, as well as practical and laboratory sessions. You may be required to take part in a work placement module or year. If your degree course requires you to write a dissertation in your final year, this will give you the opportunity to further explore a favoured area of electrical engineering. The accreditation of your degree will depend on where you choose to study, as well as the specific content of your course. Generally, you can expect to be awarded a Bachelor of Engineering (BEng), or a Bachelor of Science (BSc). Some degree courses might be accredited or approved by a professional body of engineering, meaning you can become a chartered engineer. For example, in the UK, degrees might be accredited or approved by the Engineering Council. Typically, an undergraduate degree in electrical engineering will take three to four years to complete. Foundation degrees, diplomas and certificates can last up to two years, when studied full-time. Once you have successfully completed your degree, you can choose to either seek employment in your chosen area, or further your studies. Continuation of your studies could be in the form of a postgraduate degree, such as a masters or a PhD, or a graduate certificate or diploma. The entry requirements for an electrical engineering degree will depend on the institution you choose to study at. Some universities might require you to sit an entrance exam, where others may rely on previous exam results. Some universities may prefer you to have studied certain subjects, and others might consider previous relevant work experience. You should check each institution to see what entry requirements they have for their electrical engineering programmes. Electrical engineering graduates will be able to work in a variety of fields and industries, such as power generation, construction, infrastructure development, communications and information technology. You can expect to be involved in the design, development, testing and maintenance of projects. You will have gained transferable skills throughout your degree, such as problem solving, analytical skills, and independent working. These skills mean that you will be a useful asset to any team in a field unrelated to electrical engineering. Find electrical engineering programs available in the following countries.